A wedding is an expensive affair! Let’s not deny this fact. Every couple spends thousands of dollars to get their wedding details right and unless you opt to elope or have a court marriage with absolutely no frills, you will not be spared from this. The last thing any couple would want to do is to start their life together in debt. 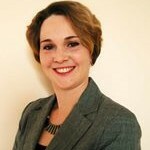 Smart couples know that there are certain ways out to plan a fantastic wedding, but still stay within budget. One of the best ways to get the maximum done for the least possible amount imaginable, is to Do It Yourself. Well, of course you may not be able to do everything for your wedding by yourself. Yet, you can do at least a few things that will save you some money. Apart from saving money this way, there are two great things about doing something for your wedding by yourself. 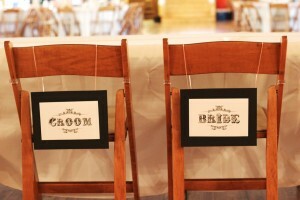 It adds a personal touch to your wedding, and allows you to use your creative skills to the most. So, this post is dedicated to some of the fantastic DIY ideas that we found. Get your notebook ready and set yourself up for some inspiration. Wedding cakes do not have to be covered in layers of frosting and complicated details to do their job. Naked cakes are just as good, and perhaps even more special. These cakes that have a refreshing originality, which is why they have taken the wedding world by storm. Not only are they easy to create, they are yummy and look extremely beautiful. Naked cakes are a perfect addition to an outdoor or garden wedding, and blend in with rustic and vintage themes too. As you might already know, these cakes do not have frosting on them, and the layers are held together by cream, thus retaining the original look of the crumb layers. 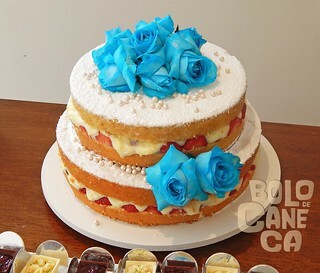 These cakes are usually decorated with cream, fruits and flowers, and they look natural and inviting. You do not have to be a professional baker to make it, all you need is the ability to make normal 8-inch cakes without too much ado. If you can do that, you are all set to try your hand at making this large-scale for your wedding day. . The Kristi Murphy blog has a great tutorial on how to do a tiered naked cake that looks simple, but is delicious. We recommend you start out with this and try a few simple decorations at first. Once you nail the idea, get ready for the big deal with a fantastic design for your wedding day.Remember that you can personalize it as you choose, and it will undoubtedly be a great looking DIY part of your wedding, that everyone will notice and appreciate. You do not need fresh blooms to add a festive air to your wedding venue, you can accomplish the same with faux flowers too. 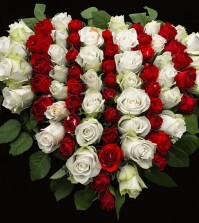 Or, you could mix them up with the real blooms and get your flower budget down to the maximum extent possible. With a few craft supplies, this is super-easy and quick to do. Brides who involve themselves in craft activities before the wedding say that it is therapeutic and helps them calm down when the stress of wedding planning starts building up. The best thing about doing something of this style is that it gives a sense of accomplishment. And, let us not discount the fact that it is one of the cheapest ways to get the colors of your wedding palette ready, and do it perfectly to the smallest detail. Just think of how you can get the décor just right with faux flowers, especially when you can’t find the unusual colors of your palette with real flowers. So, do you want turquoise or purple flowers? Take the paper route and you can do it in no time. Large single flowers in one solid color look gorgeous, but take little time to create. These can be used as centerpieces, floating decorations or even be part of your wedding bouquet. Now, if you aren’t the crafty kind, you still needn’t worry. There are tonnes of tutorials out there to get you started with. Just take a look at them and you are bound to find it easy enough to try. Check out this article on the Its Always Autumn blog that links to 20 flower tutorials. You are bound to find the right link to the flower tutorial you want here. So, head over there right away and get crafting already! 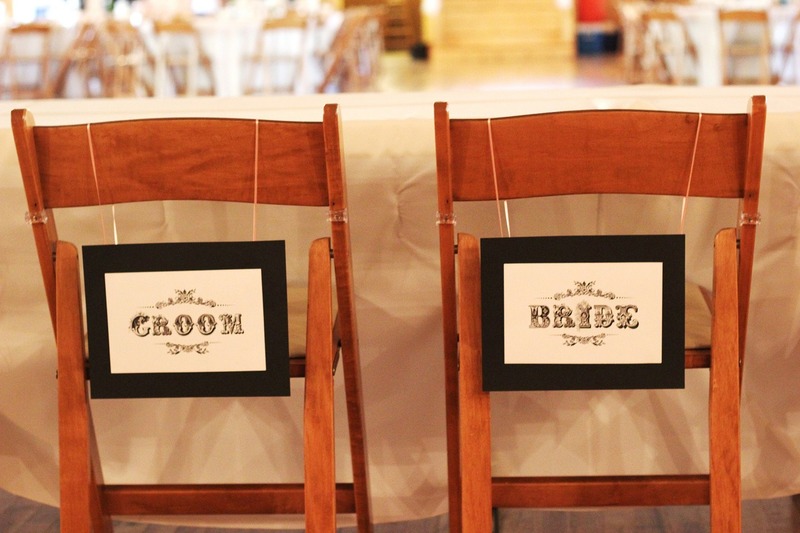 Chairs covered in white with a satin sash in the color theme tied around the chairs. This is just the tip of the iceberg. There are plenty of other ideas that you can find and use. If anything, it is this that you can easily accomplish and be glad about, for adding your personal touch to your wedding setting. 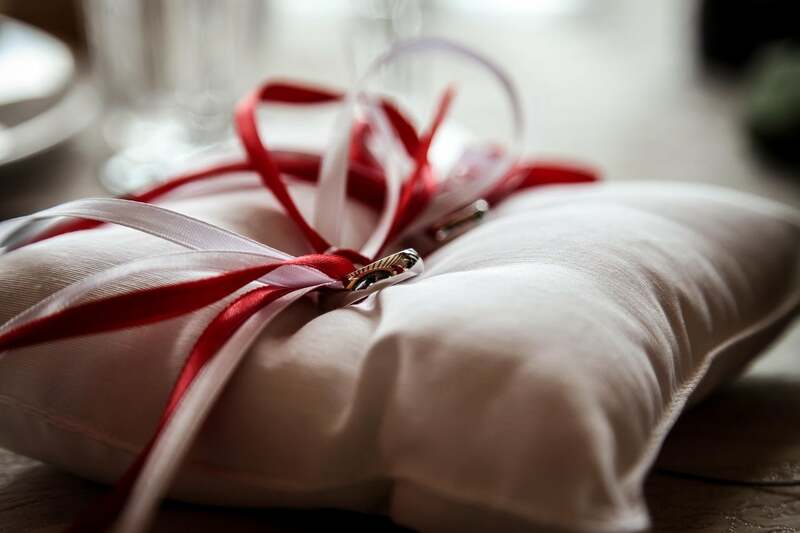 Your pretty bridesmaids deserve a thoughtful gift for all the effort they put into making your wedding day truly special. Also remember that they have been spending a lot of money on their bridesmaids outfits, your bridal shower and several other aspects of your wedding. So, you need to show your appreciation for all their well-intended deeds by gifting them a carefully chosen gift. You can always go the expensive route and choose a couture gift that they will definitely love, but you can also get the same message across by putting together a beautiful hamper of the little things that they will truly adore and use. After all, which girl wouldn’t prefer a whole lot of little gifts in place of a single big one? Instead of getting it from the store, how about doing it yourself? Your hamper could contain things like homemade cookies, sweetly scented bath scrubs and little treats that you are good at making. Or you could buy an assortment of goodies from the store and pack them all in beautifully chosen individual favor boxes, that are then put into a pretty gift basket, wrapped in style and gifted to your girls. Don’t forget to mix up the gifts, so you have both expensive and practical items that will all find favor with your girls. Visit this link on Best for Bride to find all the containers, boxes and favor bags you need to house every little treat you choose for your favorite girls. If you aren’t up to the challenge of doing too many things for your wedding day, you can still do this one little thing that will also serve you as a valuable keepsake in the years to come. DIY ring bearer pillows are easy to make, and you can do it in any style that you love. All you need are some basic sewing skills and a few hours of time, and you can have this special something made all by yourself. 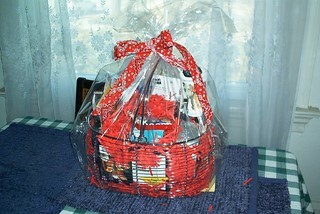 Check out this link on the DIY network for the full tutorial. When choosing the fabric for your pillow,remember to make sure that it is of good quality, as you will be handling it a lot during the process. You can also find a whole host of designs to personalize it to your taste, by simply searching online. Or better still, simply head over to the Martha Stewart Blog page here, and find some of the most attractive designs you want under one single roof. With over 25 designs in classic, trendy and modern styles, you are bound to find one that you love. Do you know what is the best thing about making this yourself? It will be a valuable asset that you and your partner can snuggle with in your home, post the wedding. It doesn’t get much better than that now, does it? If you aren’t sure you want to do something that everyone will be seeing on your wedding day, how about making the wedding garter, which only your husband will see. Isn’t that a personal and unique way of finding something to share between just the two of you, and make sure it is one-of-a-kind? I think the very thought of it is thrilling. The bonus is that it is very easy to do, and you don’t have to be a seasoned artist to do it right. Not sure about this? Quickly visit this DIY link on Bridal Guide, and your doubts will fly away with the wind. All it takes is four simple steps and a handful of materials to get your wedding garter done. With less than an hour required from start to finish, you can stuff this in to your wedding planning time line for whenever you are free. So, what do you say? Are you up for it? Tell us brides, which of these will you be involving yourself in on your wedding day? Or will you be doing anything else? We’d love to know! 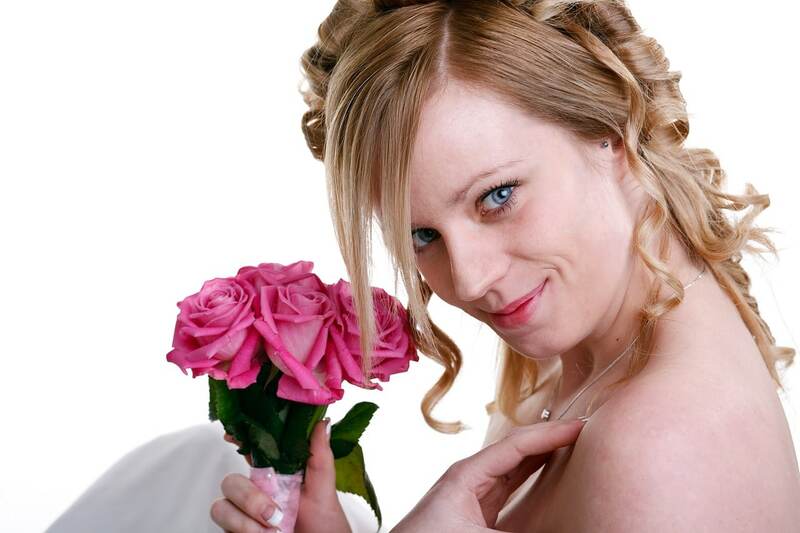 Keep visiting us at Best for Bride for more wedding news, articles, stories and tips. We are here to make sure that the days leading up to your wedding are easy and fun, so be a part of this journey! Great ideas! Weddings can cost so much so it is nice to have a few options to cut back if you want to. I want a modest wedding. It does not have to be flashy, only comfortable for those that are invited! Doing a lot of the work yourself is going to save you some money for sure. If you are clever and crafty, you can make a lot of the things you see in perfectly planned weddings. I have been to weddings where the cake was actually an assortment of pies. What a great way to save some money! 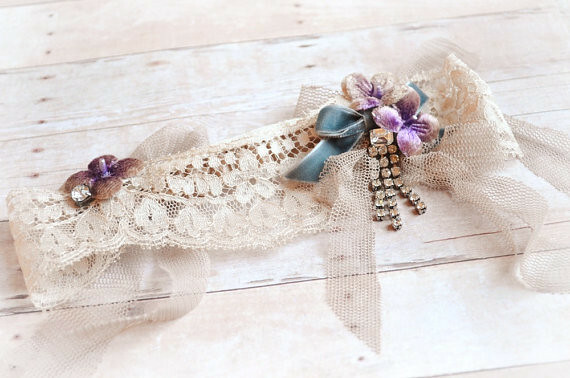 I am going to make my own garter. There are so many options at the craft store and it will be easy to come up with my own design. I love these tips. You can find so many things like this on Pinterest, but the site is hard to navigate. Thank you for putting these together, you can never have enough ideas! DIY is right up the alley for my fiance 🙂 He will really like to hear some of these tips when we start to really plan our wedding.